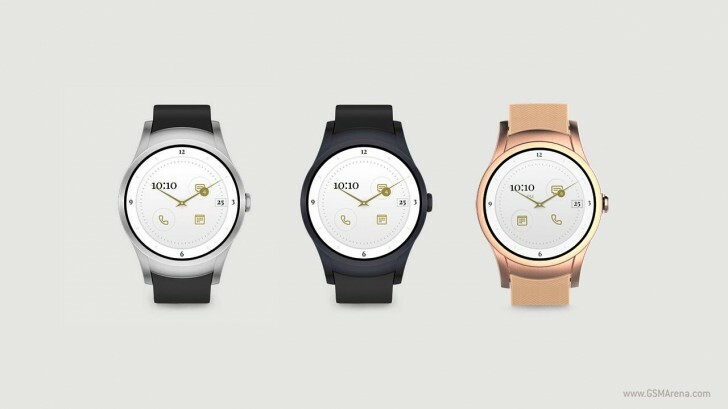 Back in February when the first Android Wear 2.0 smartwatches (LG's Watch Sport and Watch Style) were unveiled, Verizon jumped on the bandwagon too by telling us that it would launch its very own smartwatch at some point. This is called Wear24 and until today we haven't had many details about it. Now though the carrier nicknamed Big Red has decided to come forward with information about its pricing and release date. The Wear24 will become available in stores and online from May 11. If you want one, you'll have to shell out $299.99 with a new two-year contract, or $349.99 without. It costs $5 per month to add the watch to an existing Verizon plan. The Wear24 has a 1.39-inch 290 ppi AMOLED touchscreen, a 450 mAh battery with wireless charging, and it's rated IP67 for water and dust resistance. It will be offered in three colors: Stainless Steel, Gunmetal Black, and Rose Gold. The Wear24 has LTE connectivity built-in, 768MB of RAM, 4GB of storage, and it's powered by Qualcomm's Snapdragon Wear 2100 SoC.